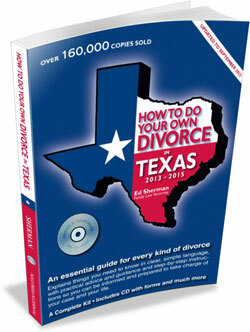 How to do Your Own Divorce in Texas 2015 – 2017 – Essential guide for every kind of divorce. Make Any Divorce Better! – For cases that are not going smoothly. CD. DealMaker – Settlement Agreement Software – Settlement agreement software. DealMaker Pro – Pro version of DealMaker. 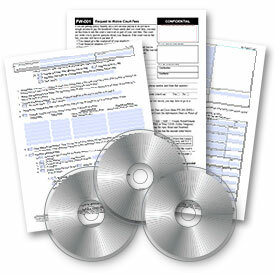 Texas Divorce Forms for PC or Mac – Complete your settlement with these forms. 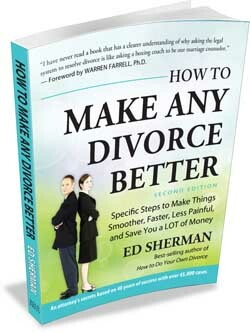 Divorce Worksheets for PC or Mac – These will definitely save you money! PLEASE NOTE: This book can be used through August 2019 IF you access the free updates we’ve posted on our Texas alerts page. Click here to get the updates. Divorce Forms, Citation by Publication or Posting, and bundled sets for less! With these forms, following the instructions in our famous book, almost anyone can do their own divorce in Texas in any case where the other side does not go to court to resist you. Save money • Get focused • Get organized. 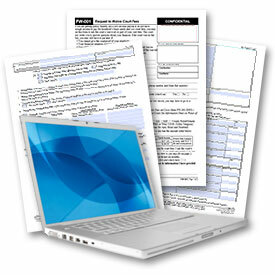 These organizational forms are useful in any state. All professional use worksheets to gather all the facts of your case. But why pay an attorney $200 or more per hour to gather your information when you can do it yourself for free? And you will understand your case better for doing it.